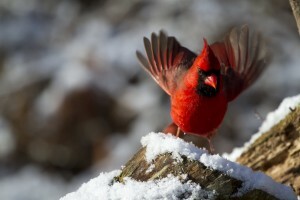 Are you heading down to the Great Smokey Mountains? Or planning a road trip through North Carolina and looking for a stopping point to break up your trip? Both of these were true for me last October which is how I came to spend a day in Asheville, North Carolina. I hope you’ll find this article helpful if you find yourself in a similar position. My husband and I planned a road trip from Pittsburgh through North Carolina, Tennessee, and Kentucky. Our primary stopping points were the Biltmore, the Great Smokey Mountains, Nashville, Mammoth Cave National Park, and Kentucky’s Lake Cumberland. We had a great time in Asheville and were glad we decided to add this to our trip. In total we were in Asheville for only about 24 hours. Since we left from Pennsylvania that morning, we didn’t arrive in Asheville until the late afternoon. We went straight to our hotel to check in and unload our suitcases. 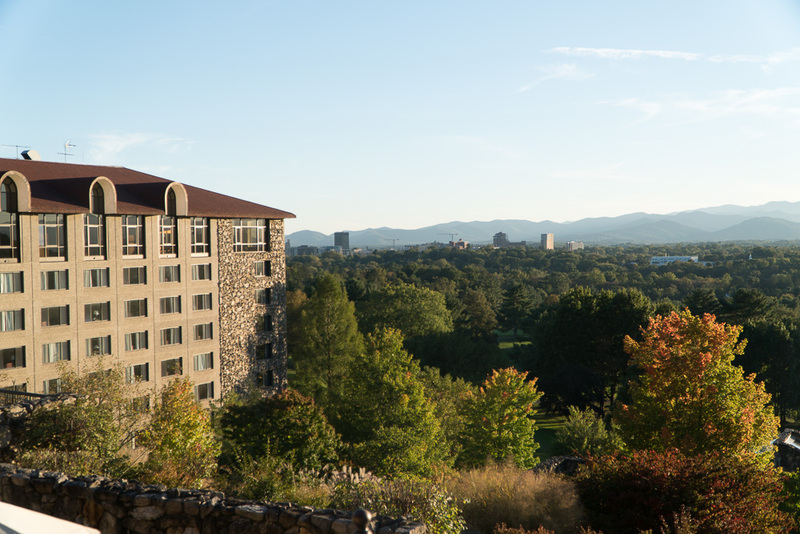 Once we were situated we headed over to the Omni Grove Park Inn for dinner at the Sunset Terrace. I highly recommend looking up what time sunset will be on the day of your trip and making a reservation at least an hour before hand. 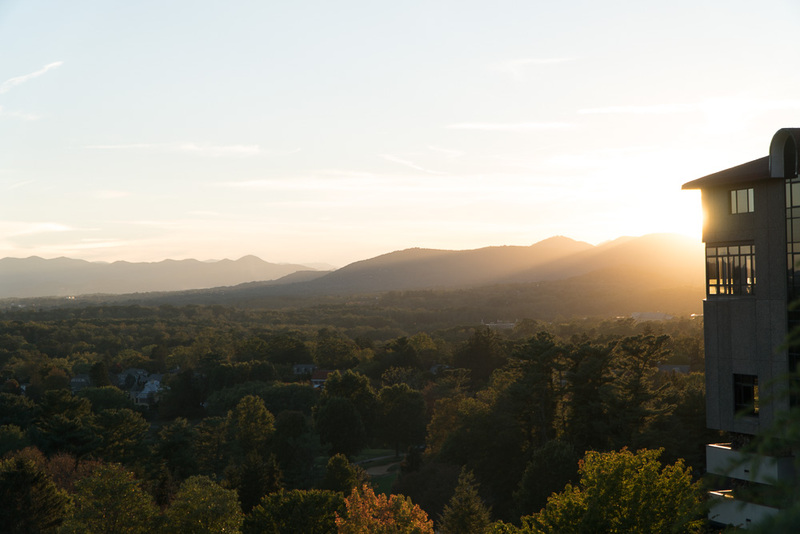 This way you’ll not only have a beautiful view of the sunset, but you’ll also get to see the Blue Ridge Mountains before it gets dark. Dinner at the Sunset Terrace is definitely a bit pricey but I assure you that you’re paying for more than just the view. The food and service were spectacular as well. 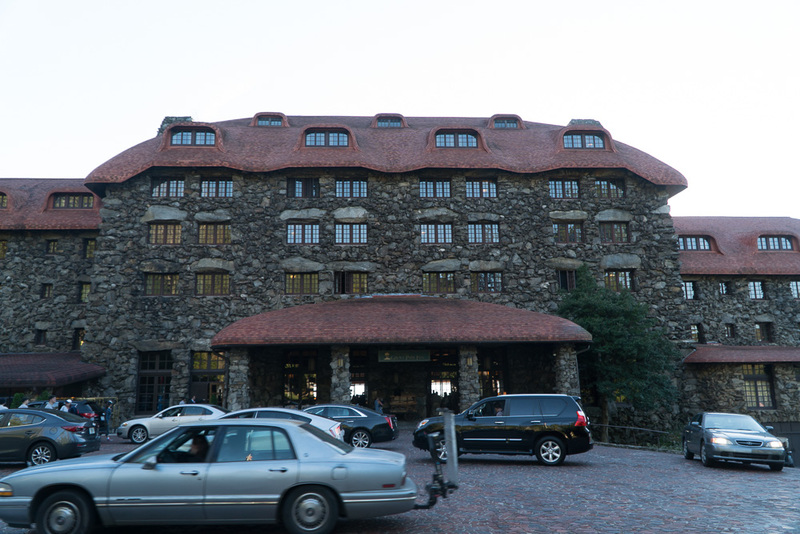 If we ever get a chance to go back I’d love to splurge and stay at the Omni Grove Park Inn resort itself. The building was absolutely stunning. For this trip though we decided to save on our hotel accommodations since this was just the first stop of a long road trip. Now for the main attraction. 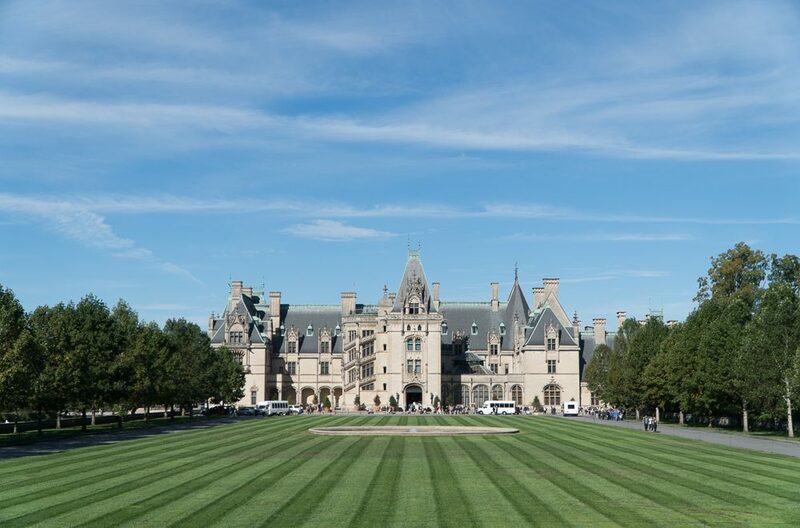 The Biltmore Estate of course is the main reason people come to visit Asheville. We woke up early and ate a quick breakfast at our hotel then checked out and headed over to the Biltmore Estate. We drove to the ticket center, purchased general admission tickets along with the audio tour, and a guided Upstairs-Downstairs tour. After we had purchased our tickets we were instructed on which parking area to go to. There we waited for a shuttle bus that took us from the parking lots to the estate. The grounds at the Biltmore were so much bigger than I had imagined! Once we were dropped off at the front of the home, we walked around to get some pictures of the stunning architecture before starting our tour. 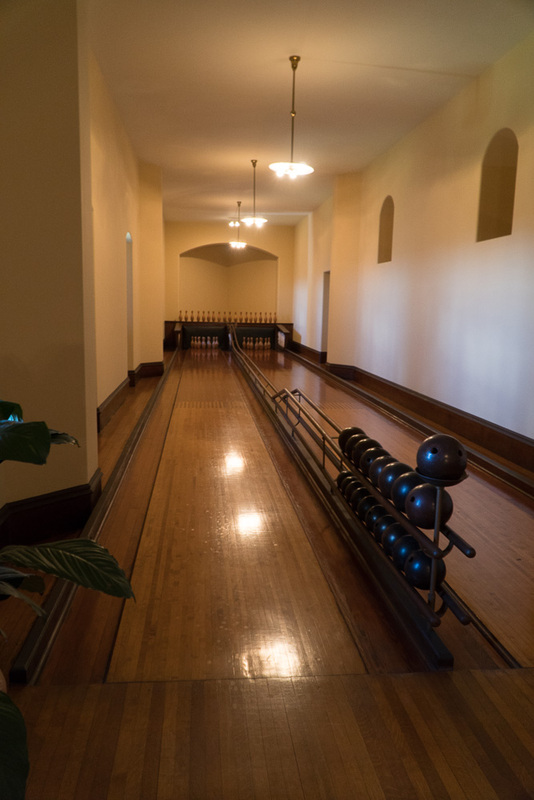 The general admission ticket allows you to walk through a marked route in the house at your own pace. 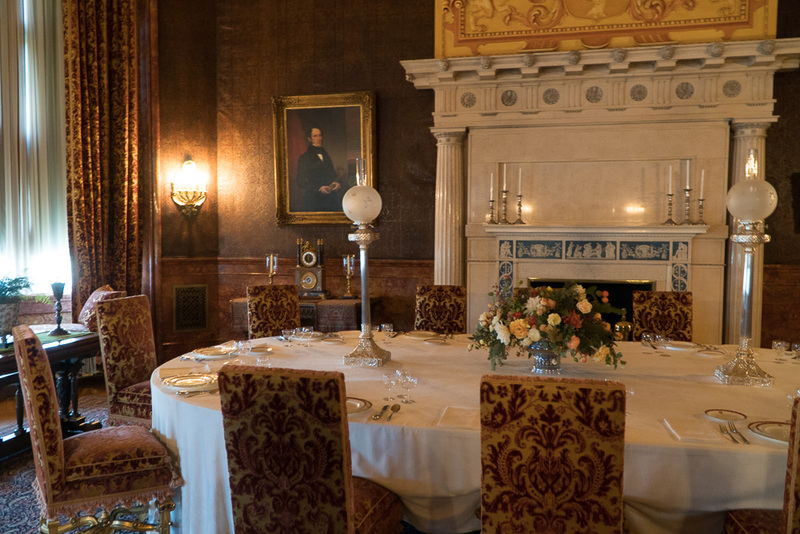 The audio tour follows the same route but is nice because it allows you to listen to information about the architecture, the rooms, the artwork, and the Vanderbilt family as if you were on a guided tour. I would highly recommend the audio tour, especially since it’s only about $10 extra. 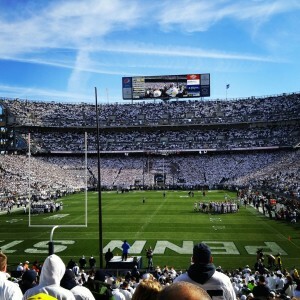 Here are some of my favorite pictures from the house. You can see they are starting to set up a Christmas tree in the dining room. I’d love to come back some year when the house is all decorated for Christmas, I’m sure it’s spectacular! Here is a “smaller” dining room. Only small in comparison to the previous picture of course. The library with walls fully covered in full bookshelves. 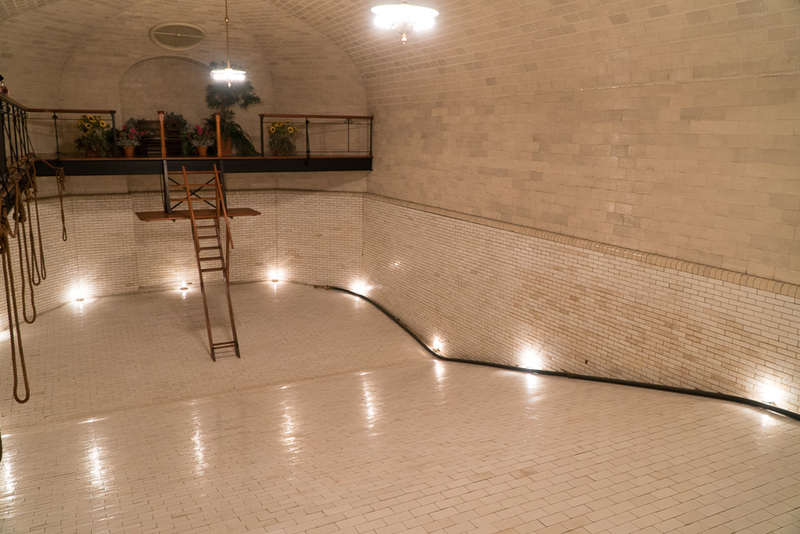 And indoor swimming pool! Although it is no longer filled with water. 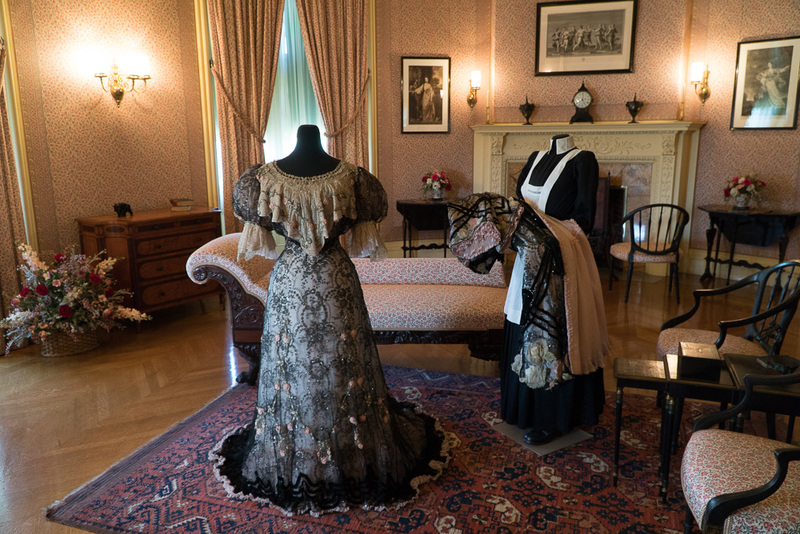 And lastly, a picture from the guided Upstairs-Downstairs tour showing the style of clothing that used to be worn. We visited the Biltmore at an extremely busy time. Hurricane Matthew was beating up the coast and a lot of people headed inland for a visit to get away from the storm. The staff at the Biltmore told us it was uncharacteristically busy. 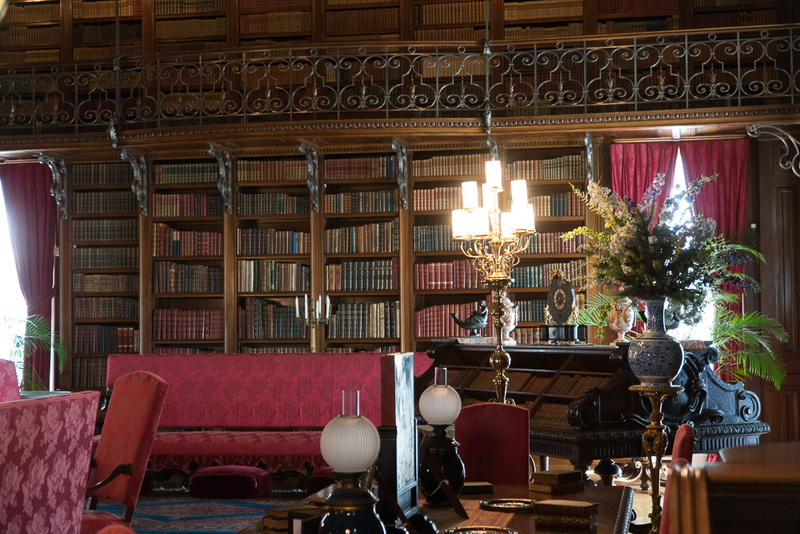 We couldn’t tour the house at our own pace because there were so many people inside that you had to constantly wait for the next room to clear out before you could enter and listen to that portion of the audio tour. 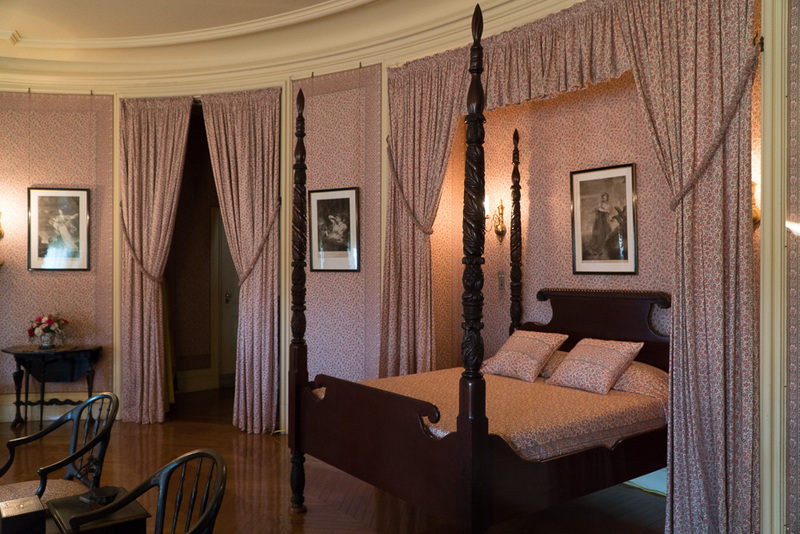 For this reason we were very glad to have booked a guided Upstairs-Downstairs tour. The tours have limited space and it was nice to get away from the crowds for a little while! Even if the house wasn’t so busy, I’d still recommend a guided tour if you have the time and money. They take you to areas that are not accessible on the self-guided general admission ticket. Additionally, the guides are very knowledgeable. They will provide interesting stories and information and are also able to answer any questions you might have. 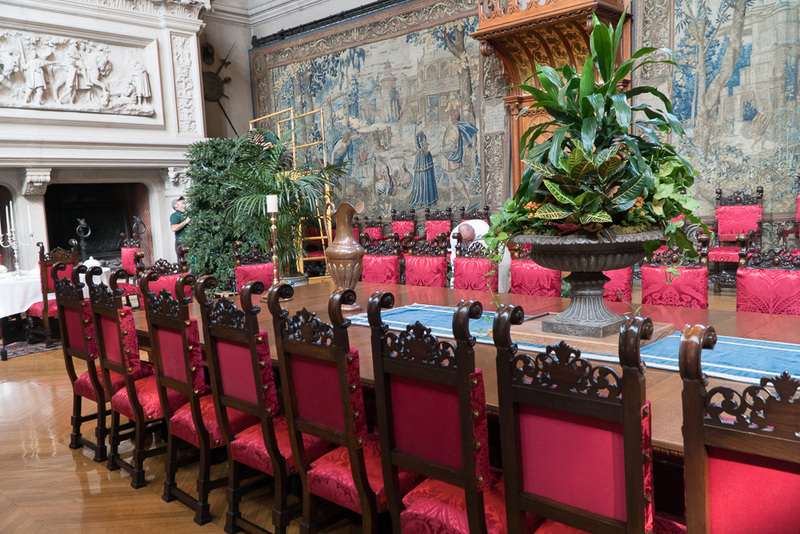 There are plenty of other things to do at the Biltmore including shopping, dining, and even wine tastings. I only had half a day to explore before heading to the next stop on our road trip so I only had time for these house tours. 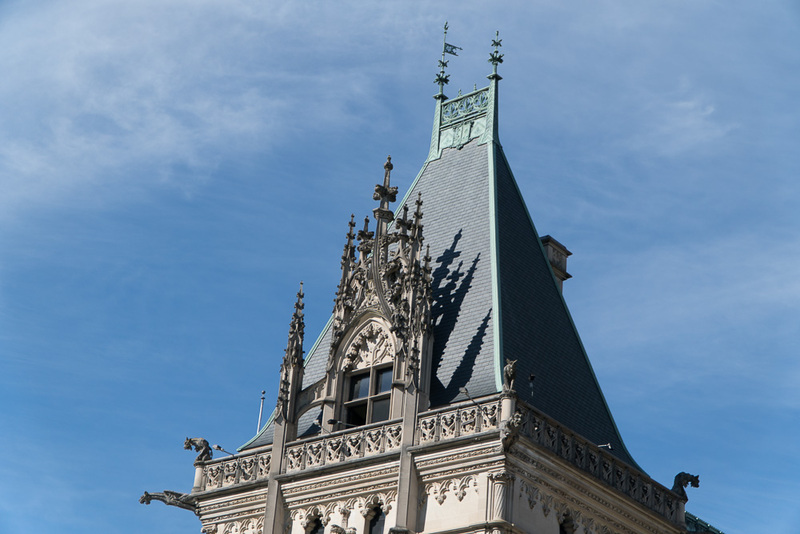 You could easily spend a whole day or more at the Biltmore Estate though if you have more time for your visit. I hope this helps you plan your own trip to Asheville. If you have any questions of comments leave them below – I’d love to hear them!